So today I celebrate the second day of Hyakinthia. This is the first day of the real festivities. Yesterday was fairly solemn with an offering into an improvised “tomb” for Hyakinthos (will post pictures later when the festival is finished tommorow). Traditionally this is a nine day festival with the first three days reserved for Hyakinthos, though some sources say that it was only nine days with the first day for Hyakinthos. I gravitate towards the former being more accurate, but the dilemma comes in that doing a really involved nine day festival all by lonesome with a child accompanying is rather difficult. So for the sake of necessity I do the festival in three days. The first day is the mourning for Hyakinthos. This is not the extreme mourning that was done by women for Adonis. It is simply very solmen. There is no festivities. A quiet meal is eaten, no bread, and offerings are presented into the tomb of the hero. On this the second day it is the celebration of the “resurrection” of the hero, or rather the deification of the hero to a god. Thus the tomb of Hyakinthos is also one together with the throne of Apollon. The soul is freed from its mortal bonds. Now here is how it fits beautifully with Helioguennia. In my book I put approx June 21 for the festival, but that is meaning that this is the midpoint of the festival rather than the beginning. In any case it is at this point that the festival is actually directed towards Apollon whereas the first day is all about the hero. 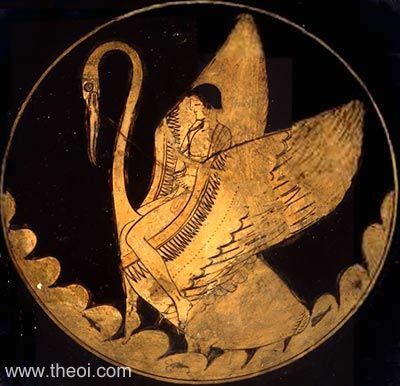 As we know from myth, Apollon with his disc (ie the sun) accidentally struck Hyakinthos, and the paian was believed to have been part of his attempts to bring back the youth and save him from mortal death. For this reason the paian is particularly important during this festival, most especially on this day as far as I see it. Heliguennia on the other hand marks the longest day of the year, when the light of the sun is utterly victorious over the night. Thus we celebrate Helios Eleutherios, Helios the god who is freeing, for the sun it at the very pinnacle of its strength today. It is also the first day of summer and marks in and of itself an important seasonal transition. Soon the flowers of late spring shall wither away beneath the hot blasts of the sun. So we say goodbye the innocent season of youth, and greet the royal summer. Therefore at the same time we are saying goodbye to the mortal youth, who was so loved by the wind of spring, and is now in the adulthood of divinity. Heliogennia merely marked the beginning of this beautiful day as I celebrated with a ritual at sunrise. Khaire Apollon! Khaire Helios! Khaire Hyakinthos the risen! I am really looking forward to celebrating Hyakinthia next week. I had probably delved more into what this ritual means to me when I was writing my book. Not only that, but I also feel I became more informed in a general sense as I did my research 🙂 So I am celebrating the end of spring and beginning of summer with this beautiful festival in which the youth, loved by both Apollon and the gentle wind of the spring, dies by the god’s “disc”. Unfortunately I still don’t have most of my ritual things since I haven’ tbeen able to arrange shipping yet from MD (this last year has been a very difficult one financially) so I will be making a new “throne/tomb” for Apollon and Hyakinthos 🙂 It won’ tbe fancy since, once again I said…financial difficulties abound, but it will be meaningful to me regardless. I really wish I had a loom and a bit more practice with weaving so I could make a beautiful cloth for Apollon. But I suppose I will just have to settle for the store-bought variety. At least until things get more financially stable around here! 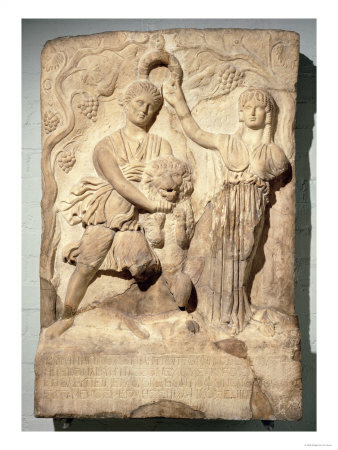 So in this ritual I will read hymns to Apollon, Artemis (who has an epithet related to Hyakinthos, Aphrodite, Zephyr, Helios, Eros, as well as some poems for Hyakinthos and the nymph Kyrene and Aristaios (whose myths correlates with the Hyakinthos myth which I discuss at length in my book). From all indications the altar is supposed to be full of flowers particularly to spring (or rather to late spring before the heat of summer kills them off. Sadly we have had a record breaking May and Early June in this part of the country so I don’t think many of the spring flowers are still around. Certainly not the honeysuckle I used during Thargelia! But I will see what I can find. My laurel is still not big enough to harvest from (since I had just got the cutting and it looks like it is finally starting to spring back) but I do have plenty of rosemary which I tend to use as a substitute. Smith, in his dictionary of Greek and Roman Antiquity makes a close relation between the two plants via their names. So the fragrant-sweet rosemary will likely be utilized to a great degree! The myrtle is in the same condition as the laurel. Maybe by next year I will have strong plants that can lend leaves to these great occassions!